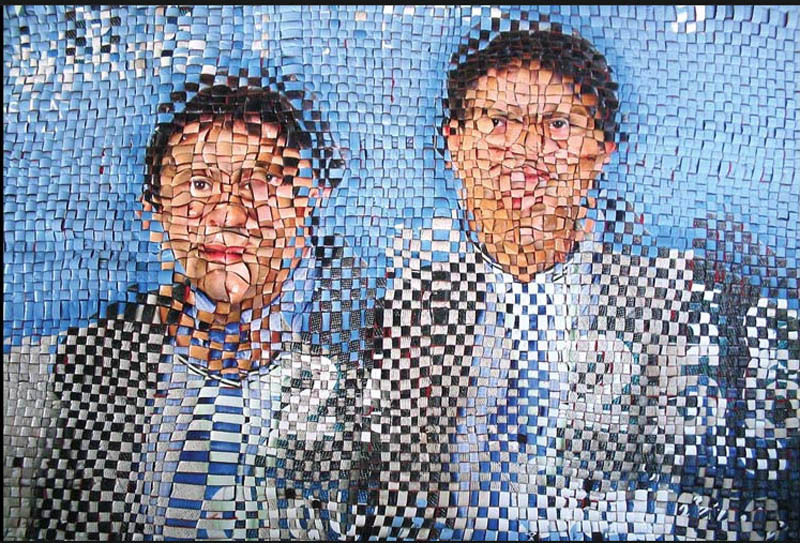 Brazilian artist Jarbas Lopes works in a variety of mediums, but much of his art pays homage to the Brazilian tradition of colorful weavings and craftmaking. He is probably best known for his bicycles woven with rattan that are still functional and meant to be interacted with. 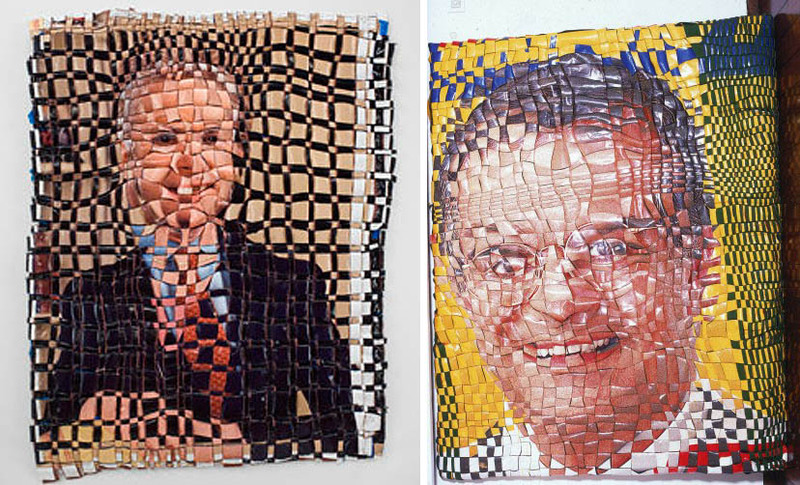 Here, in his woven “paintings” titled O Debate (The Debate), Lopes uses plastic/vinyl political campaign posters of both known and unknown politicians, tears them into strips and then weaves them together fusing the images, ultimately creating hybrid political personalities. Some incorporate local Brazilian politicians, while others use images of American politicians such as Barack Obama, Hilary Clinton, and George Bush. Photos courtesy of the artist; Volta; Taxi Art; entretenimiento; and Tilton Gallery.